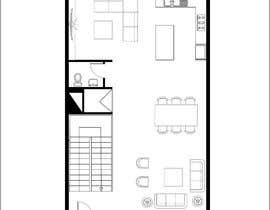 I need a floorplan (and a sideview, backview and topview) for a residential building of 15 meter high and 5 floors in the attached picture. 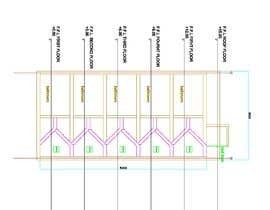 And a structural design and a structural foundation design. And a BIM (Building Information Modelling) model. The floors are 8 meter wide and 12.3 meter long. [login to view URL] is for reference, it needs to include stairs. And living room floors need to be separated from bedroom floors. with a stair connecting the floors.